Thank you for your contribution to the patients and profession. 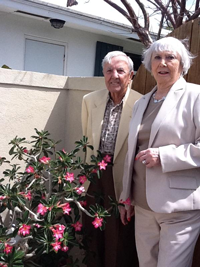 Dr. Pellicore was my advocate, mentor and friend all my life. His legacy is my committment to continue empowering others to enjoy life to the fullest! He will live on in my heart forever. I was a patient of Dr. Pellicore's amputee clinic at RIC from 1961 - 1974. It's difficult to imagine how my personality and attitude would have been shaped without his care and knowledge. I will be forever grateful for his encouragement. 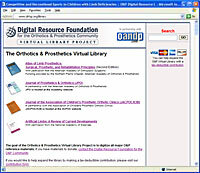 Ray Pellicore's philosophy and compassionate approach to the treatment of people with limb loss and orthopedic problems lives on in the archives of the Digital Resource Foundation for Orthotics and Prosthetics (DRFOP). An Orthopedic Surgeon, Ray was an Emeritus member of the American Academy of Othopaedic Surgeons (AAOS) and the American Board for Certification (ABC). He was a graduate of Loyola School of Medicine 1943. He then went on to serve in the US Navy 1943-1946. He was an attending physician at Illinois Central Hospital and Chief of Orthopedic Surgery 1949-1985. He was an attending physician St. Mary of Nazareth Hospital 1975-1985. As Clinic Chief at the University of Illinois Amputee Program in Chicago, 1957-1984 he was instrumental in developing the concept of Interdisciplinary Team management combining medical, psychological, social and rehabilitative care for children and their families. Dr. Pellicore and his colleagues at UCLA Child Amputee Prosthetics Project (CAPP), New York University, and Mary Free Bed Hospital (Grand Rapids Michigan), were the leaders in care of juvenile amputees which evolved into the Association of Children's Prosthetic Orthotic Clinics (ACPOC). Research from the thousands of patients cared for by these clinics led to consensus on the International Classification of Congenital Deficiencies accepted worldwide. 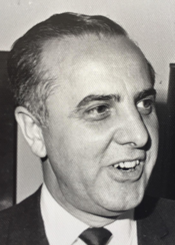 Additional accomplishments of Dr. Pellicore include his service to Northwestern University Medical School (NUMS) and the Rehabilitation Institute of Chicago (RIC) 1960 to 1984 lecturing on Management of Amputees for physicians, surgeons and allied health professionals. 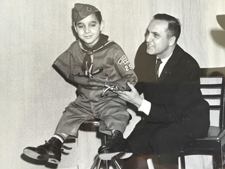 Prior to his retirement Dr. Pellicore moved the Juvenile Amputee Clinic to LaRabida Children's Hospital in collaboration with Variety Club of Illinois to fund a Limb Bank and to insure free care for children needing upper extremity myoelectric devices. In 1979 he personally supported the development of Families & Amputees In Motion (FAIM), a support group for patients and families. FAIM became a model for peer training programs and the Amputee Coalition of America founded in 1989 by Mary Novotny RN and colleagues around the country. Over the years the message of Outreach, Education and Advocacy for Amputees has been shared across globe through the National Limb Loss Information Center (NLLIC), the American Academy of Orthotists & Prosthetists (AAOP), the International Society of Prosthetics & Orthotics (ISPO) and numerous Disability Rights Organizations. Ray Pellicore referred to himself as a carpenter and always said he "learned more from his patients than he could ever know". His legacy of encouraging each person, to make the most of their unique abilities and supporting them with needed resources for independent living is a model for everyone. A searchable online database that connects communities of need with the professionals and organizations that have the resources to help. An online collection of journals, books, reports and archived material related to orthotics and prosthetics, keyword searchable and available at no cost to users worldwide. For a more complete list or contributors, visit the Acknowledgements page. We need your help to make these projects a success! Please contact us if you are interested in volunteering or collaborating. Visit our contribution form to make a financial contribution.